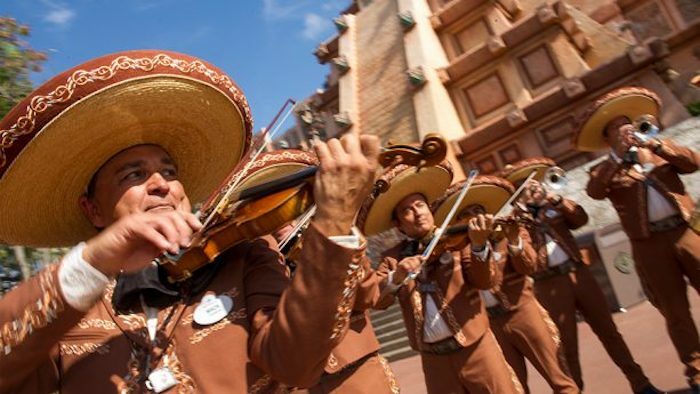 This Spring, watch the talented musicians of Mariachi Cobre bring the Story of “Coco” to life at the Mexico Pavilion at Epcot. Epcot’s World Showcase is the perfect place to learn, explore, and experience the different cultures of each of the countries represented. Starting March 6, a new musical experience is coming to the Mexico Pavilion that you won’t want to miss! The Story of ‘Coco’ will come to life starting March 6th at the Mexico Pavilion at Epcot. Photo courtesy of Disney Parks Blog. The Mariachi Cobre is a staple of the Mexico Pavilion—performing beautiful renditions of traditional mariachi music for thousands of guests each day. 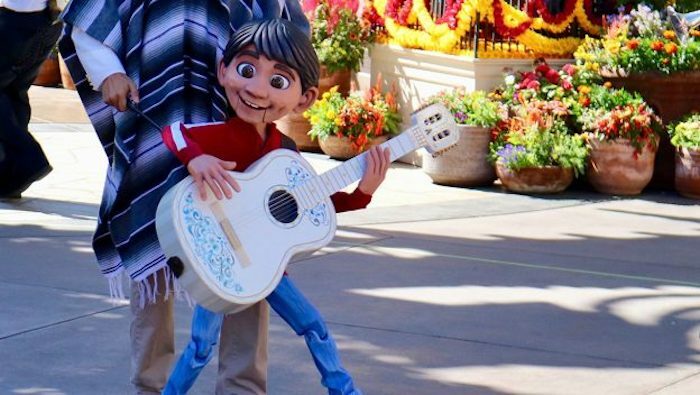 Just in time for the Epcot International Flower and Garden Festival, the band will be joined by two traditional Folklórico dancers to tell the tale of Miguel Rivera, his love of music, and his journey to find what matters most – his familia. This new show is not replacing current performances, but is an addition to the current line-up. It will feature songs from Disney•Pixar’s “Coco” with an appearance by Miguel himself in the form of a whimsical, hand-crafted puppet! I can’t wait to see this new addition to the Mexico Pavilion! Make sure to stop by and check it out starting March 6, 2019. Do you love traveling Epcot’s World Showcase? Subscribe today!